Home » Tokyo Sky Tree » Tokyo Sky Tree illuminates special like cherry blossoms until April 10. 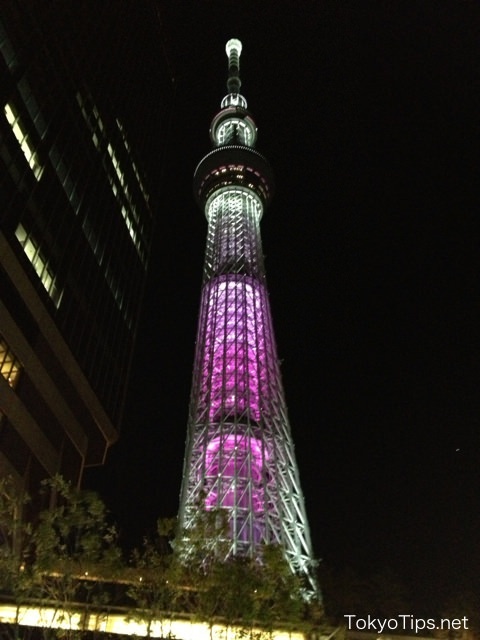 Now Tokyo Sky Tree illuminates itself special like cherry blossoms. Illuminations are two patterns. One is 舞 (Mai) and the other is 咲 (Saki). Mai is pink and Saki is white. Both show cherry blossoms. They change alternately in fifteen minutes. Storm blew in Japan all day. The observation decks closed all day. 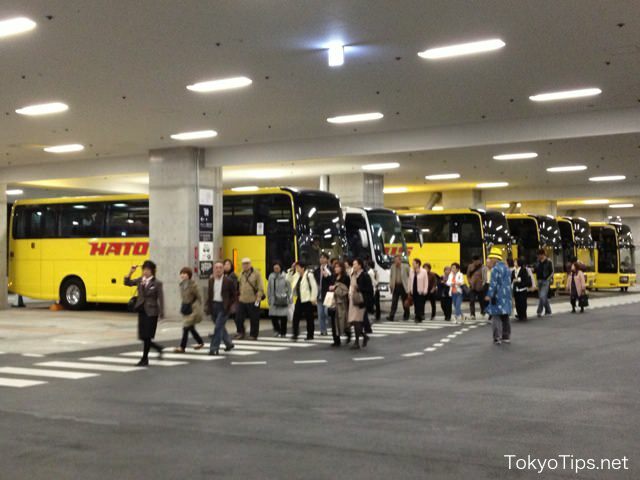 Yet several sightseeing bus tour groups came. 舞 (Mai) means a dance. The tower is pink overall. 咲 (Saki) means bloom. The tower is white and the observation deck is pink. 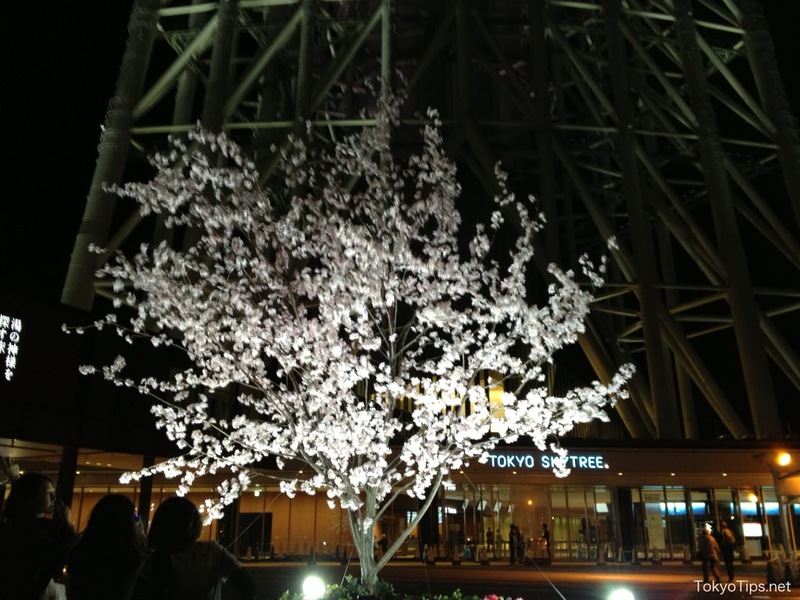 There is an illuminated imitation cherry tree at the bottom of the tower. Many sightseeing bus tour group came though strong wind. The best view point for Tokyo Sky Tree is from Asakusa. 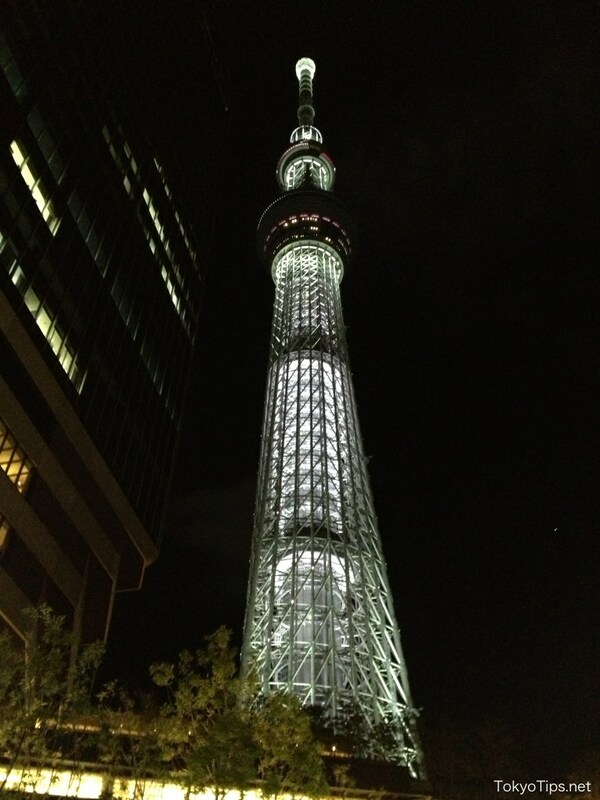 You can walk to Tokyo Sky Tree from Asakusa. 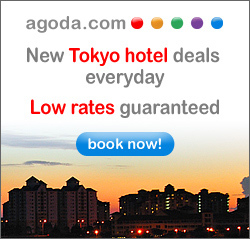 From Asakusa, you can see it in the buildings and temples. It’s a kind of mixture view of old and modern Tokyo. But, personally, I like Tokyo Tower rather than Tokyo Sky Tree.More Photos: http://www.worldfortravel.com/2013/06/13/tokyo-sky-tree-japan/.